An immersive pop-up urban fitness retreat where you'll learn everything you need to know to start and maintain a fun, sustainable, and healthy fitness routine. Luxury fitness & holiday retreats world famous. Join this immersive day-and-a-half long retreat in the heart of London where you'll learn how to master the fundamentals of sustainable fitness, live a life in balance, free yourself from long and boring workouts, and shift your unhealthy habits for good. Feel more confident with what you’re doing by focusing on not only what to do to manage your body composition, eat well and feel energised, but how to do it, sustain it and make it part of your lifestyle. Claire runs 38ºN with James and with a background in NLP and coaching, her passion is in ensuring sustainable results through mindset tools and techniques. James started 38ºN over six years ago and is passionate about making health accessible to everyone. 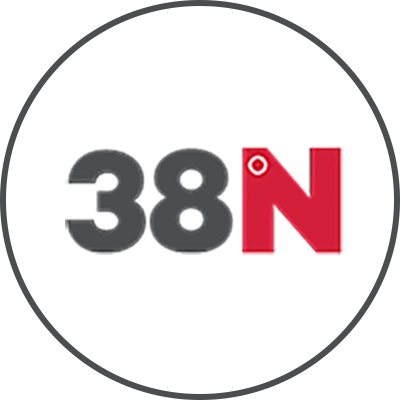 With a Masters in Applied Psychology he brings a unique holistic approach to the 38ºN experience. You’ll join Claire & James at the Melia White House, Great Portland Street at 8:30AM. They’ll kick off with training in either Primrose Hill or Regents Park – where you’ll release some tension with boxing, followed by circuits – then a stroll back showing you some of their favorite sights before a healthy, delicious lunch. You’ll do some workshop sessions in the afternoon, followed by a conditioning gym session and more time training in the gorgeous parks – where they’ll finish the day with a last blast and chilled out yoga with a guest instructor. Dinner will be out and about at a secret location with James and Claireat one of their favorite spots. After which you’re free to have a drink in the bar or get some well earned rest. Sunday you’ll rise early and do their signature fasted high-intensity interval training followed by a protein packed, yummy breakfast. There will be another workshop, a little more training and you’ll be finished up by midday. A beautiful and historical hotel located in the charming area of Regent's Park. This elegant, airy hotel offers a unique hotel experience, right in the heart of London. With lofty decor at the intersection of avant garde and traditional, you will feel inspired, comfortable, and cosy during your stay. All rooms offer: En-suite bathroom with hair-dryer, air conditioning, complimentary Wi-Fi, high speed internet connection, flat-screen television with satellite channels, complimentary tea and coffee making facilities, 24-hour room service, and UK/EU/US sockets.